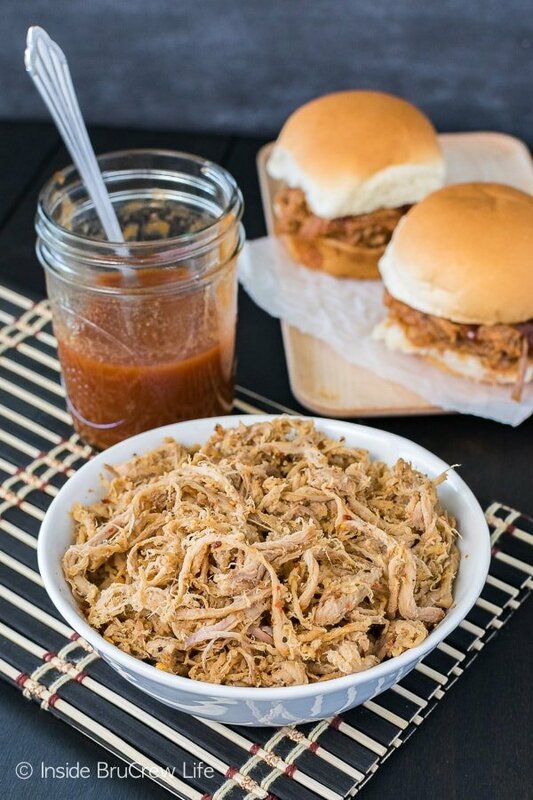 All you need are two ingredients to have this Easy Slow Cooker Pulled Pork for dinner tonight. 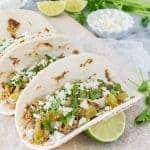 Serve it with barbecue sauce and buns or use it on tacos or nachos. Growing up I wasn’t a big meat eater. Give me a big plate of veggies and I was a happy camper. My parents always had me eat at least three bites of meat before I could be excused from the dinner table. One of my younger sisters was the complete opposite. She would finish her meat and then sit there staring at the veggies left on her plate. I don’t know why we didn’t do a covert trade when our parents weren’t watching. Over the years though, I have started to enjoy more meats. Well, I don’t know if eating burgers and chicken counts as more meat. I’m still not a big fan of red meat. The texture and taste just aren’t for me. In the past few years, I have come to love pulled pork too. I probably like it because pork is considered the other white meat. There are a few restaurants in town that I always order the pork tacos or burritos from. It’s become one of my go to choices along with shrimp tacos. I have to admit that I had no idea how stinking easy it was to make your own pulled pork. 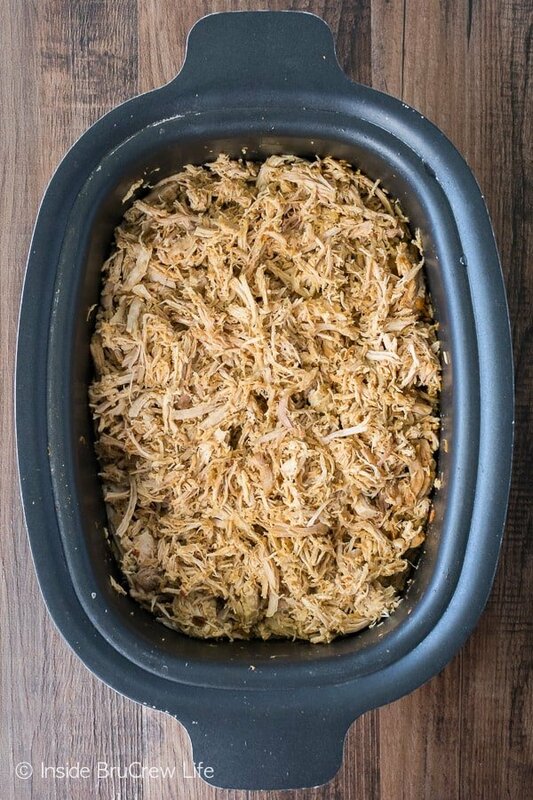 You are only two ingredients and eight hours away from having your own slow cooker full of pork amazingness!!! You read that right. Dinner tonight is just two ingredients. You just need a pork tenderloin and some bourbon brown sugar seasoning! 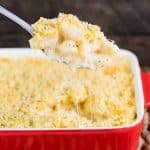 Ok, so if you want it to be dinner you have to add a few more things like buns, barbecue sauce, mom’s potato salad or this easy macaroni salad. We have been buying a three pound tenderloin and rubbing it with a brown sugar bourbon seasoning because it gives it a delicious and totally easy flavor. Then get ready to devour the meat in about 8 hours! Honestly, the meat is so tender and delicious on it’s own. 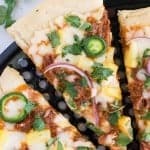 My daughter and I like to eat it plain, but it is also absolutely delicious in pulled pork tacos or smothered in your favorite kind of sauce. 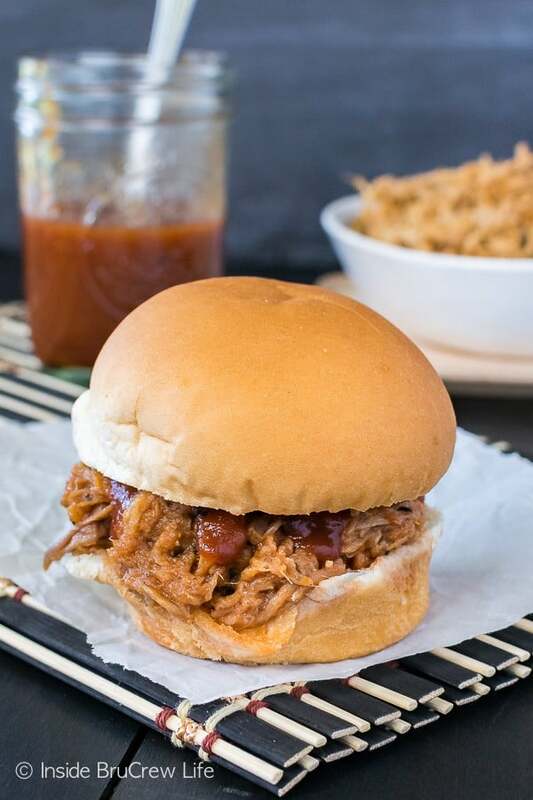 I want to make another jar of this honey sriracha barbecue sauce because the sweet and spicy flavor would go so well with the seasoning on this easy slow cooker pulled pork. 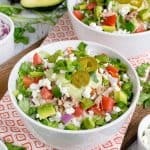 If you are planning any picnics this summer, here are a few more recipes that would be perfect for your menu too. These spicy baked beans are an easy dish to throw together and bake. 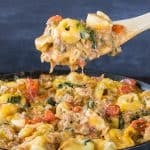 A big bowl of this loaded homestyle macaroni salad is a must make. Creamy pasta salads are my weakness!!! 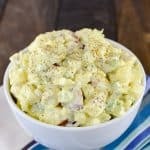 And I can’t wait to try this copycat Chick-fil-A cole slaw! It sounds amazing on its own…or you could top that pork sandwich with it! Yum!!! Trim the excess fat from the tenderloin. Sprinkle the seasoning on both sides and rub it in. Place in a slow cooker and cook on low heat for 6-8 hours. Use two forks to shred the meat apart. Remove any extra fat. 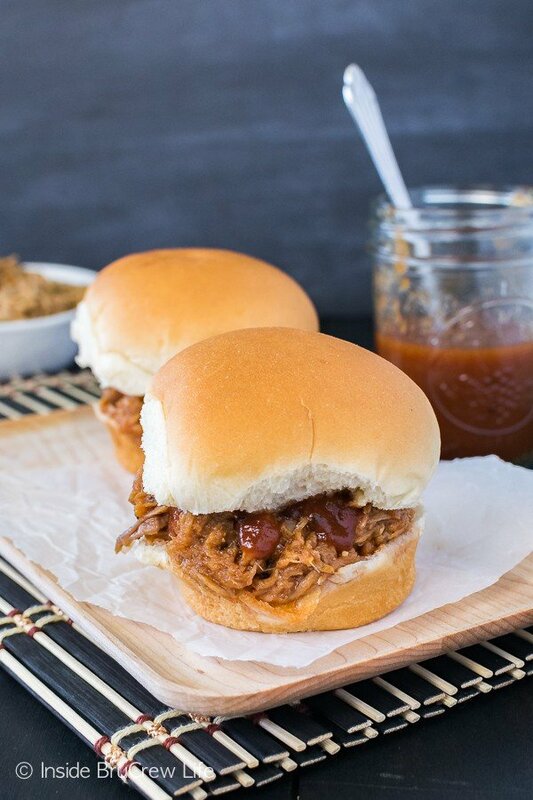 Serve warm with barbecue sauce and buns. Refrigerate any leftovers. *This post contains affiliate links. BruCrew Life may receive a small percentage from sales made through these free links. As always, these do not cost you any extra. Thank you for letting us share products we use and love this way! 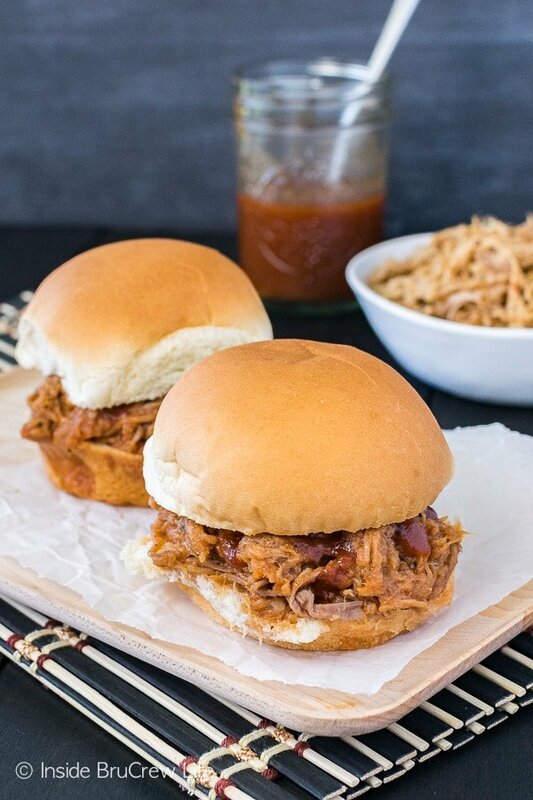 Pulled pork is a regular thing around here…it’s so easy and versatile. I’ll have to keep my eye out for that seasoning blend!